Mat Zaki Yeop swindle a lost game against Kamaluddin Yussof in round 5 of the 2011 Selangor Open. 1. g3 d5 2. Nf3 e6 3. b3 Bd6 4. Bb2 Nf6 5. Bg2 Nbd7 6. c4 O-O 7. O-O Qe7 8.d4 c6 9. Re1 Ne4 10. Nfd2 f5 11. Nxe4 fxe4 12. f3 e3 13.Qd3 b6 14. Qxe3 Bb7 15. cxd5 cxd5 16. 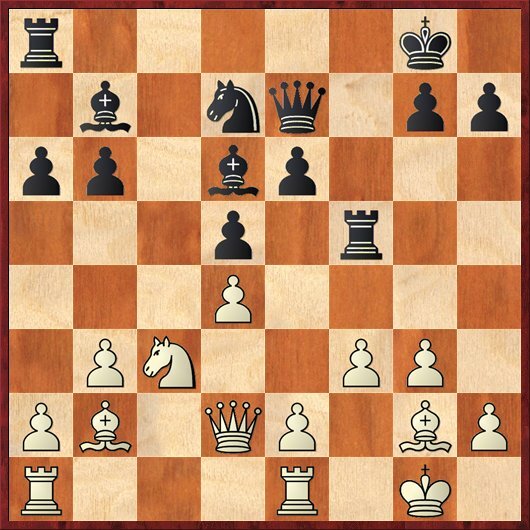 Nc3 a6 17.Qd2 The game is quite balance here and black possible reply is 17... Rac8 However Mat Zaki made a mistake with with 17...Rf5? 18. e4! White gain an important tempo with this push. 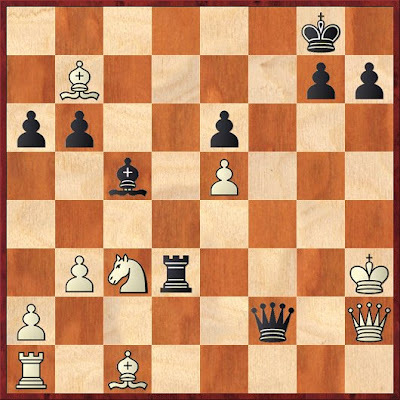 18...dxe4 Black will lose material if he decide to protect the d5 square for e.g 18...Rh5 19.exd5 Bxd5 20.Nxd5 Rxd5 21.f4! 20. e5 Nxe5 20... Bxg2? 21. Qxg2 and both black's bishop on d6 and rook on a8 is under attack. 24... Qxg3 25. Bxb7 Rxh2+! 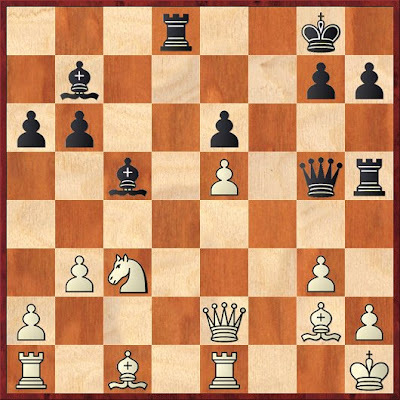 It's now mate in 8 (maximum). Probably in his earlier calculation, Kamaluddin missed that after 26.Qxh2, his rook on e1 is en prise but now is too late already. 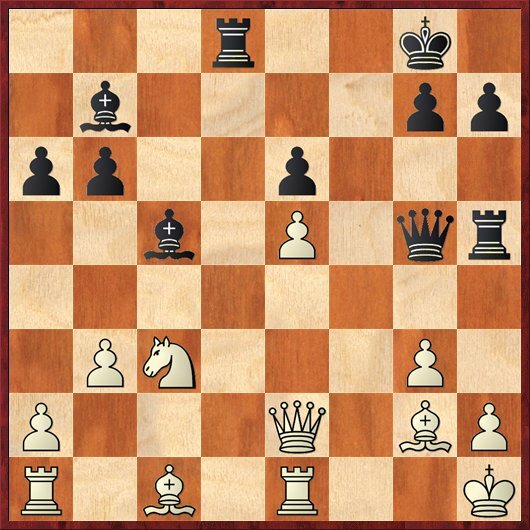 White resign because after 28... Rd3+ 29. Bf3 Qxf3+ 30. Kh4 Be7+ 31. Bg5 Rd4+ 32. Ne4 Rxe4+ 33. Qf4 Rxf4# Checkmate.